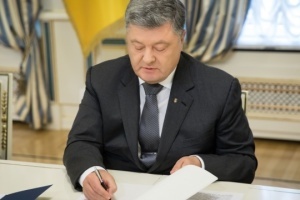 Kingdom of Sweden supports Ukraine’s plan for deploying the UN peacekeeping mission on the territory of Donetsk and Luhansk regions. 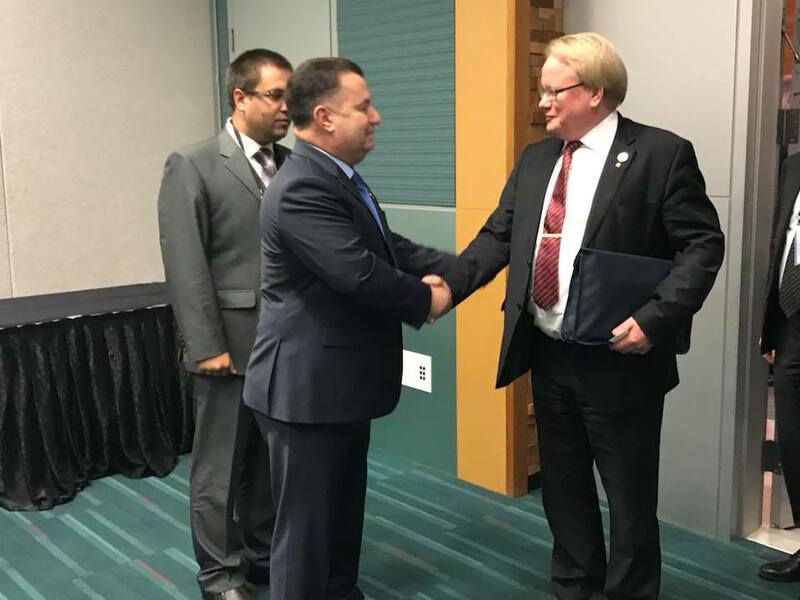 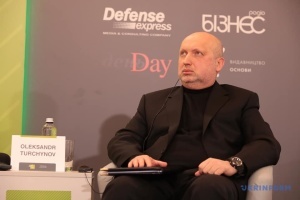 Ukrainian Defence Minister Stepan Poltorak said this after the meeting with Swedish Minister for Defence Peter Hultqvist on the sidelines of the UN Peacekeeping Defence Ministerial conference in Vancouver, the Defence Ministry press service reports. 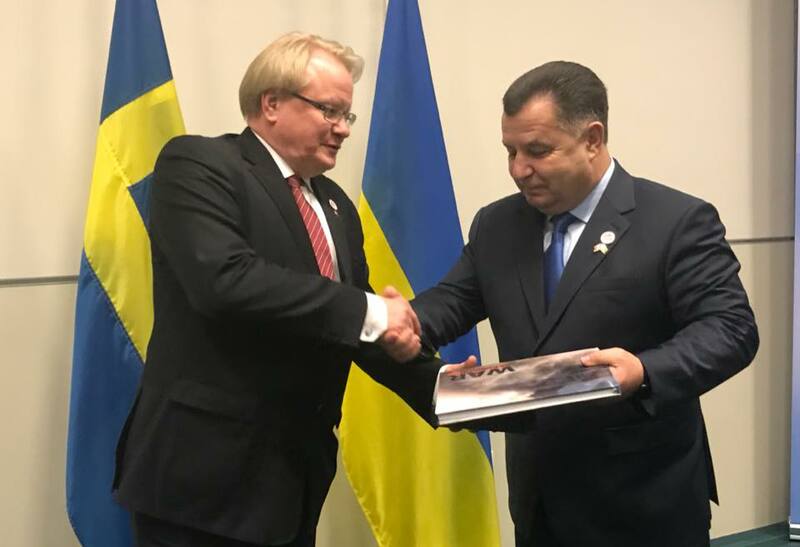 "I am glad that Ukraine enjoys the support of Sweden in the plans for involving the UN peacekeeping mission," the minister said. 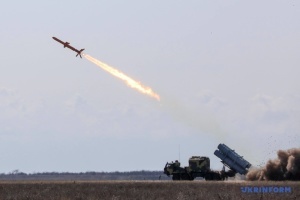 Poltorak also expressed his belief that the decision of the Swedish defence ministry to join the Operation UNIFIER would "facilitate build-up of operational capabilities and achievement of interoperability on the Euro-Atlantic standards." 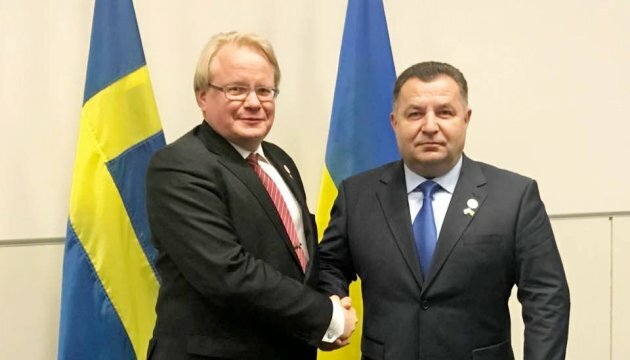 During the meeting, the defence ministers of the two countries discussed deepening of military cooperation and forthcoming visit of Swedish Minister for Defence Peter Hultqvist to Ukraine, the report says.